You may hear the terms ceramic tile and porcelain tile used interchangeably. What are the differences and what is best for your home? 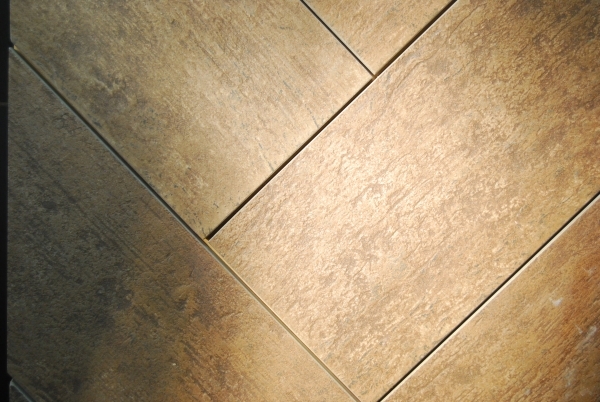 Ceramic and porcelain tile are really very similar products but are often used differently. Porcelain tile has a through-body composition, meaning that the same clay is used through the depth of the tile. Ceramic tile, on the other hand, has a top glaze over the clay; if that glaze is chipped, a different color shows through. In high use areas, ceramic tile may show chips or wear over many years of use. Porcelain tiles withstand heavy traffic and wear-and-tear better, but often are more costly than ceramic tile. Porcelain tiles are denser than ceramic clays, making them harder and less porous than ceramic. That does not mean that most ceramic or porcelain tiles are a good tile for outdoor use, although today, some porcelain tile is expressly being made for use outdoors. Typically stone tiles should be used in exterior applications because they do not absorb moisture and are unlikely to crack during winter freezes. Because porcelain tiles are denser than ceramic tiles, they may be more difficult for the do-it-yourselfer to cut and install. Ceramic tiles are fairly easy to work with using a wet tile saw or snap tile cutter; for installation of porcelain tile, an experienced tile setter may save you money in the long run instead of taking on the tile-settting and having substantial material lost. There are so many options in both ceramic and porcelain tiles. We invite you to visit The Floor Store and our retail tile showroom in Albuquerque to see the hundreds of tile flooring options. Our staff will help you find the right tile for your home and for the location where it will be installed, and answer your questions about ceramic tile, porcelain tile or stone tile.